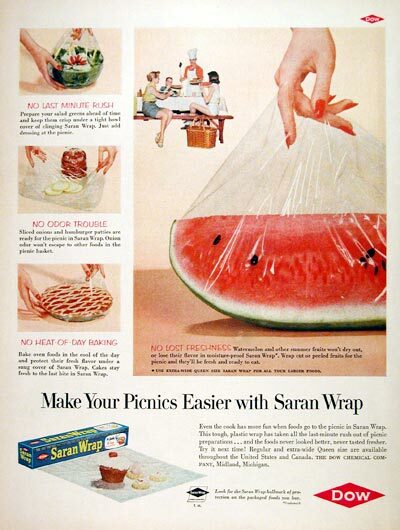 1956 Saran Wrap original vintage advertisement. Make your picnics easier with Saran Wrap plastic food wrap. A product of Dow Chemical Co.